As one of the oldest continuous glulam manufactures in the U.S., Calvert Company was founded in 1947 and brings more than 60 years of experience producing high quality glued laminated beams. Two manufacturing plants in the Pacific Northwest – Washougal and Vancouver, Washington – produce glulams for both commercial and residential projects around the world. Calvert Company’s production capabilities provide customers with great flexibility and versatility. 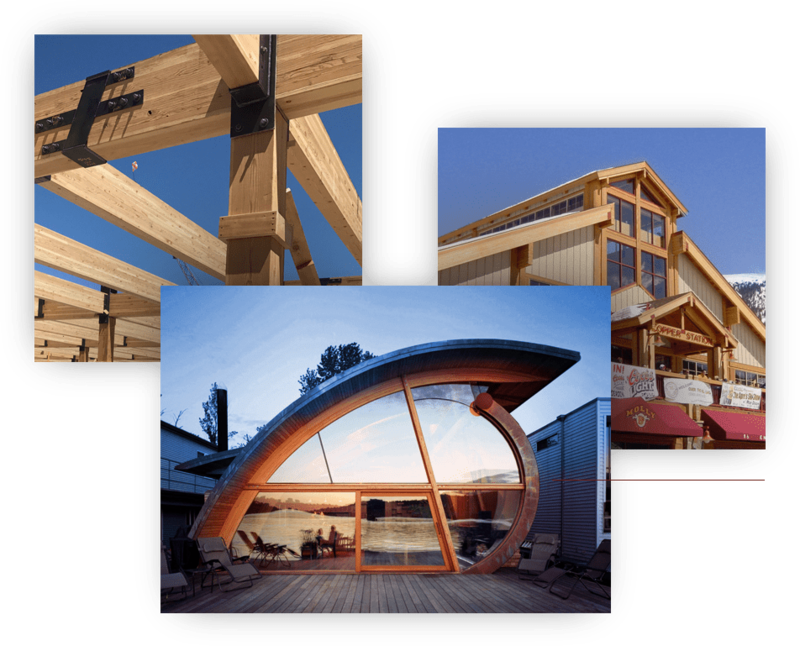 One call will source glulam for nearly every need – custom homes, ski lodges, restaurants, retail stores…the list is virtually endless. Products include large, straight beams for commercial projects; curved and arched glulam for custom applications; stock beams; high-strength GL3000 beams for engineered or systems; fabricated beams and glulam trusses; high quality export beams; turned round columns and many other custom products. Calvert Company has a long-standing reputation for good service and high quality to last a lifetime. Whether your order is shipped down the road or across the pacific, you can expect to work with knowledgeable people who know glulam. Calvert company’s products have been featured in numerous magazines, newspapers and online publications over the recent years. Here are a few examples of Calvert Company’s presence in the press. © Copyright 2018. Calvert Co., Inc. All Rights Reserved.